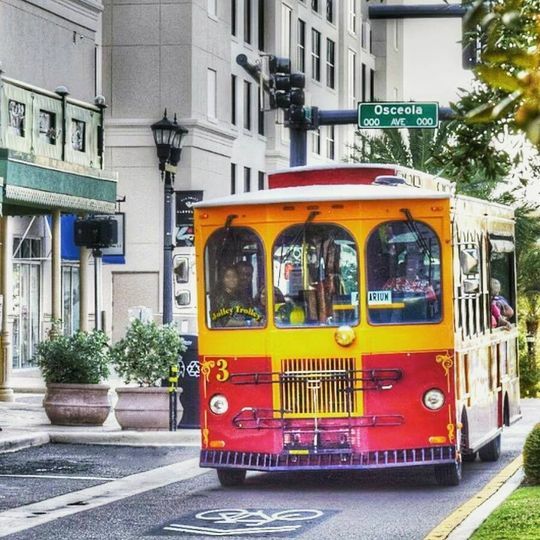 Jolley Trolley Transportation of Clearwater, Inc. is a transportation provider in Clearwater, Florida. 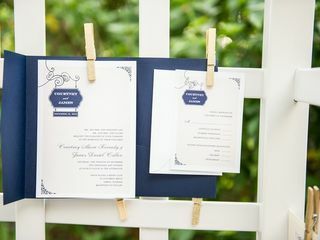 They provide wedding signage and ask that you book them for trips that are a minimum of three hours in length. 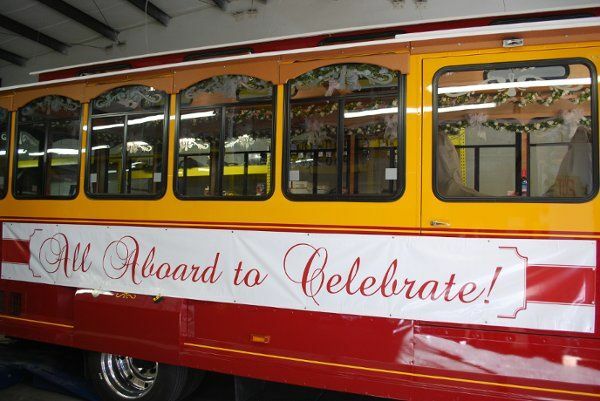 Jolley Trolley Transportation of Clearwater, Inc. can transport groups needing to make multiple stops, in addition to one-way and round trip outings. 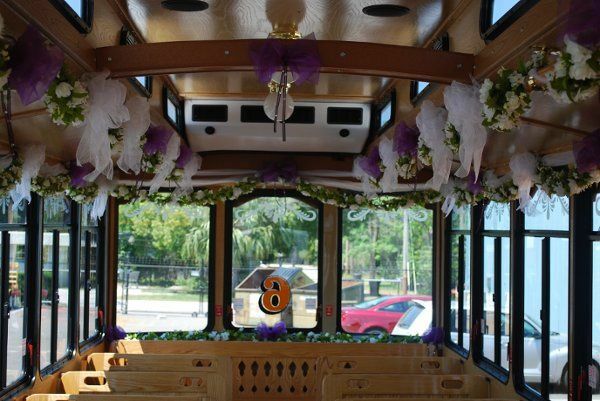 They accommodate up to 30 people who want to ride in style and take epic photos on the trolley. 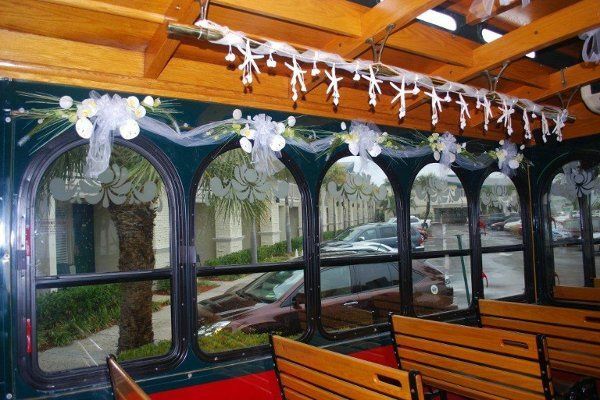 Jolley Trolley Transportation of Clearwater, Inc. would be great for your wedding day but also for bachelor and bachelorette parties, and rehearsal dinners. 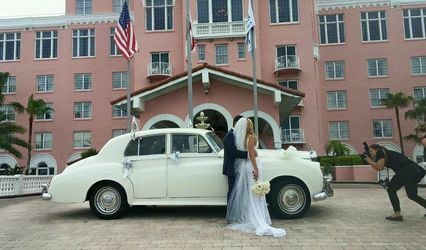 They have open-air and air-conditioned vehicles in their inventory; choose the one that best fits your event as well as the time of year. 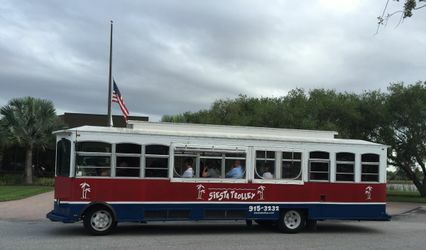 We used Jolly Trolley to shuttle our guests from the wedding ceremony to an offsite activity before the reception, to transport our wedding party, and transport guests to the reception. They were super easy to work and very responsive. On the day of the wedding, they were very accommodating with anything we needed done during our time block we had them reserved for. The trolley itself was super clean and had lots of room with a nice sound system. 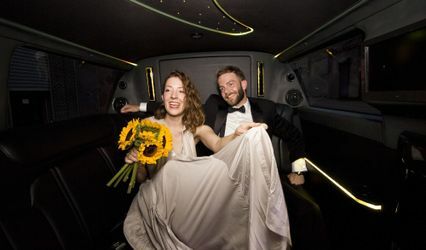 It was a fun and unique way to transport our guests! Would definitely use them again. 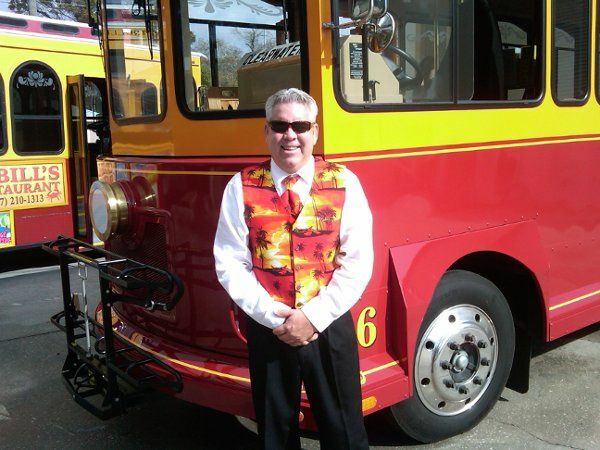 Thank you for choosing Jolley Trolley, and for taking the time to review us! 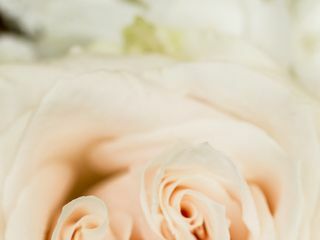 We are pleased to have been able to be a part of your special day and we wish you and your family the best of all things to come! 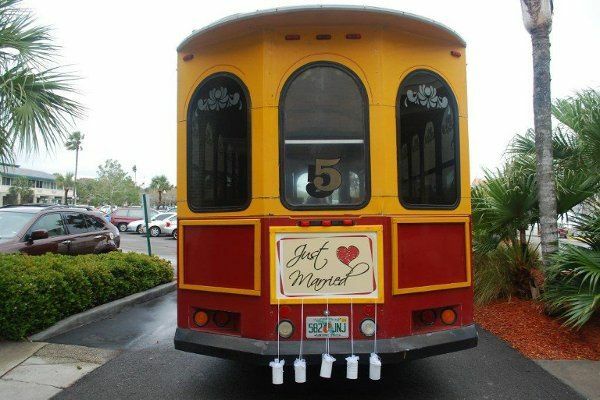 We had an excellent experience with Jolley Trolley on our wedding day. The driver was friendly and on time every time we needed him. 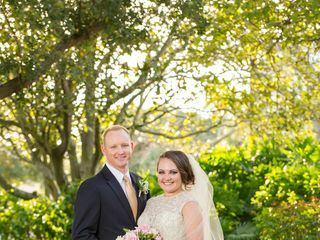 Our wedding party LOVED it!! 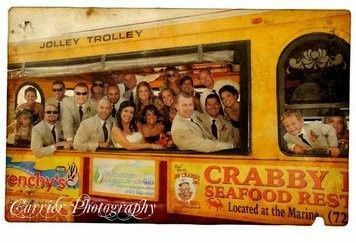 We used Jolley Trolley for our transportation for our wedding party! To say that our wedding party loved it is an understatement! Our driver was so much fun and personable. First he picked up the men and dropped them off at the church, then returned for the ladies. After the ceremony he drove us all to the reception location. He was so much fun! Us ladies had to kill some time before we arrived at the church, so he even took us to a grocery store and liquor store for snacks & drinks. He even went above and beyond and got us a disposable cooler! We went with the wedding package and it looked so awesome! Jolley Trolley even asked for color swatches so they could try to match the colors as best as possible! 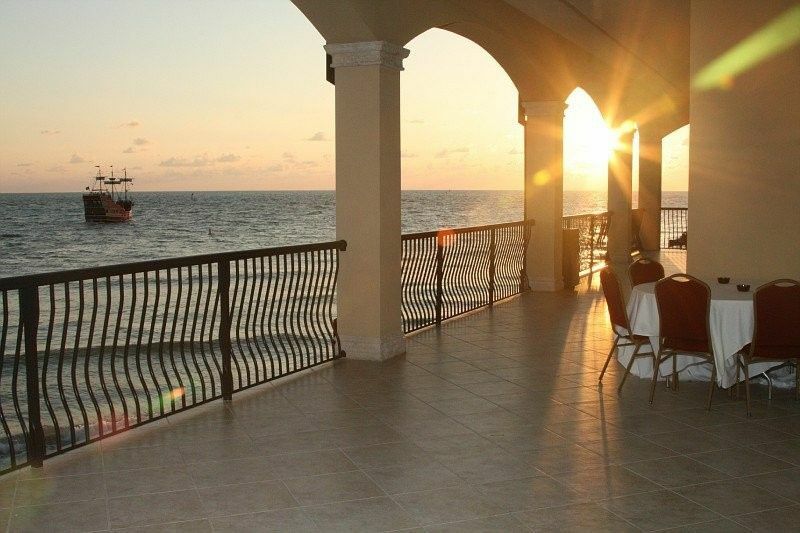 We are so so so happy we went with them!! So professional and so much fun! 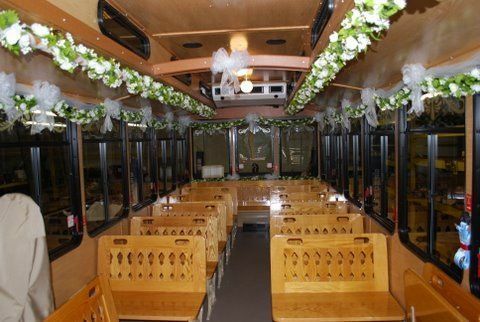 One of a kind transportation for your event! Fabulous reputation!